Kangana Ranaut to Sonam Kapoor: Who gives her 'The Right To Judge Me"
“What does she mean by saying, ‘it’s hard to believe Kangana’? When I am sharing my Me Too story, who gives her a right to judge me?, says Kangana. 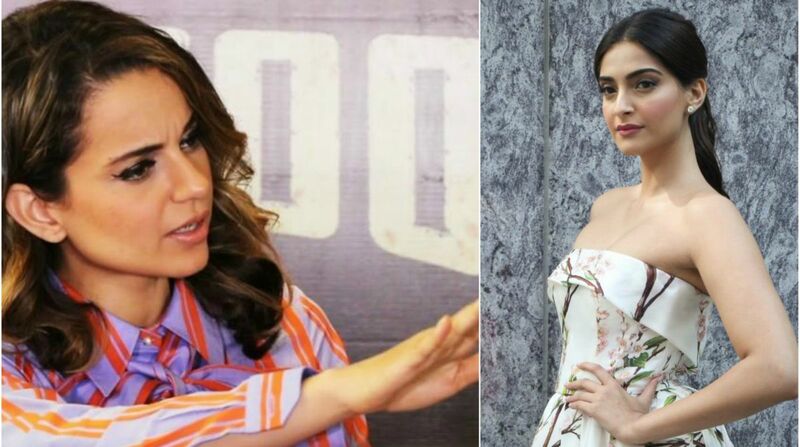 A war of words has erupted between Bollywood actresses Sonam Kapoor and Kangana Ranaut after the former reacted to accusations the Queen actor made against filmmaker Vikas Bahl. On Sunday, Sonam attended an event ‘We the Women’ in Bengaluru in which she was asked about allegations of sexual misconduct against filmmaker Vikas Bahl and Kangana’s accusations.